Stacey Metheney of Belleville has been named 2013 Special Olympics Illinois Outstanding Coach of the Year. 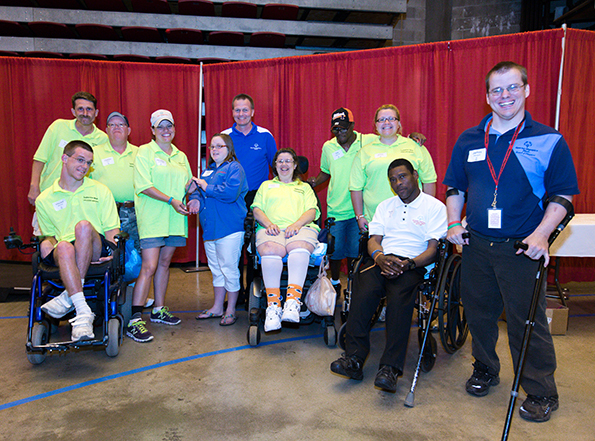 She was honored at a reception held on June 14 before the Special Olympics Illinois Summer Games Opening Ceremonies at Illinois State University in Normal. Two of her athletes, Tony Hill and Jim Morgan, accepted the award for Metheney. Fan, friend, volunteer, fundraiser, supporter and coach are all just a few words that can be used to describe Metheney. For more than 19 years, she has dedicated her life to helping individuals with intellectual disabilities. It is the passion, strength and courage that she brings with her involvement that has made a world of difference to so many athletes over the years. Metheney is more than just a coach. She is a friend, a confidant and supporter to every athlete she coaches. She not only coaches them in sports, but also in life. It is by her example and strength that the athletes are able to overcome some of their most trying moments. In addition to coaching, Metheney is the speech mentor for six of her athletes who have completed the Global Messenger training. She is also an active volunteer and has raised more than $4,625 for the Carlyle Lake Polar Plunge. Metheney inspires and drives not just her athletes but all who know her, said her nominators for the award. 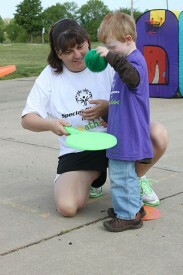 She is the epitome of what every coach, not just in Special Olympics but in all sports, should be.